The starting point is "Vaclavske namesti" (Venceslav´s square) with its well known statue of St. Venceslav riding the horse. This place is in the real centre of Prague. 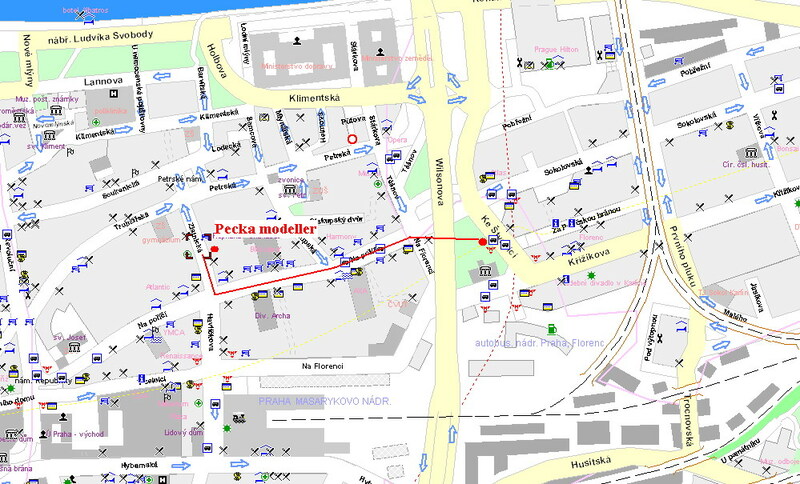 On the top of the square is underground (metro, tube) stop for GREEN LINE A/RED LINE C - "MUZEUM" and on the bottom part is stop for GREEN LINE A/ YELLOW LINE B - "MUSTEK". If you have any other questions or you will be visiting Prague, drop me a line and we can arrange some meeting, so I could be your "real modeller´s guide". WHAT YOU CAN SEE: Museum has big collection of nearly all types which served in Czech Air Force from 1918 until today. It also contains a lot of civil, test and special planes and helicopters. You can also find there various planes from other countries, e.g SF-37 Viggen, F-5E Tiger, Phantom FGR.2 etc. This year the museum is opened from May till October. Admission is free. Possibility to make photos without any charge (without tripod only). The museum also has a small shop with kits, patches, prints, books etc. From the top of the Venceslav´s square go down to the bottom of square. 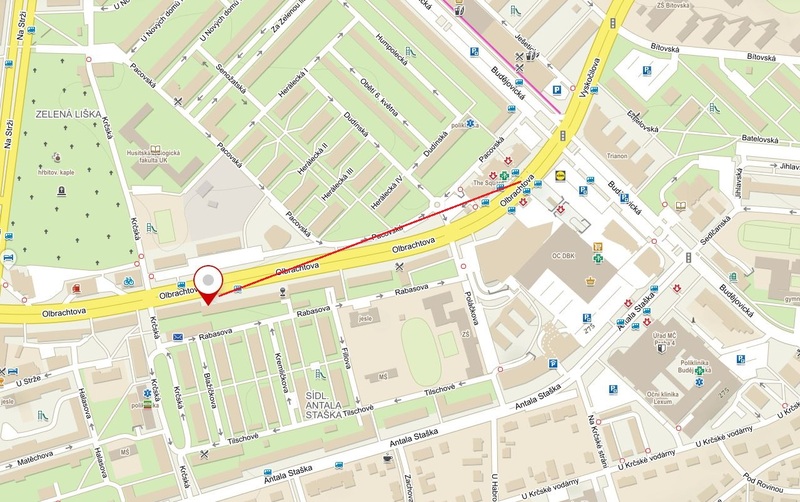 Get on the YELLOW LINE - B subway at the "MUSTEK" stop and take it towards the "CESKOMORAVSKA" stop. I prefer way No. 2 as there are more bus lines. 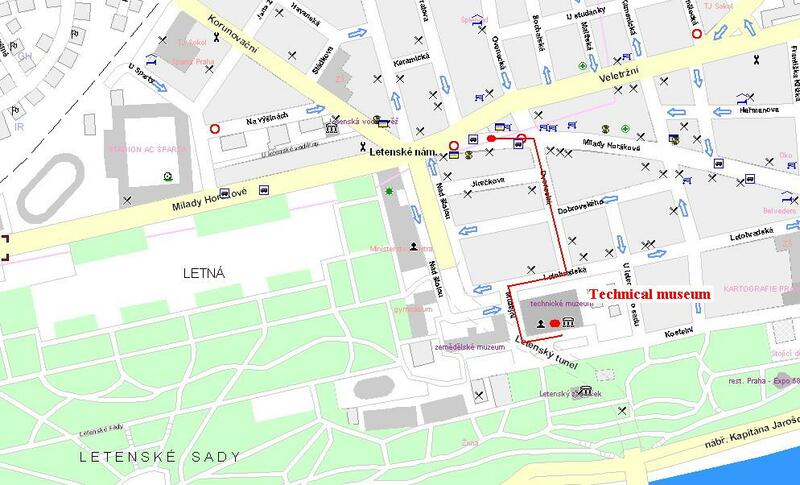 When you get off at the "LETECKE MUZEUM" stop, the entrance to museum is about 10 metres away. WHAT YOU CAN SEE: There is a few planes, but you can find there quite big collection of various machines, cars, motorcycles and also museum quality kits of various planes, ships, cars etc. Monday - closed, if there is a national holiday, opened 10:00 - 18:00. Get on the RED LINE - C subway at the "MUZEUM" stop and take it towards the "LETNANY" stop. 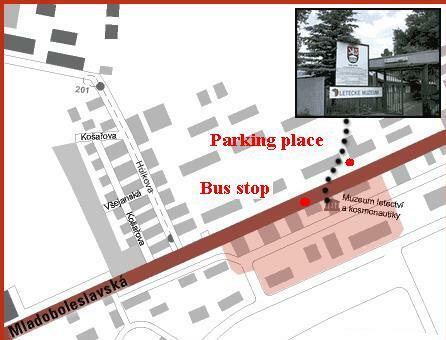 Get off at "VLTAVSKA" stop, climb to surface and go to tram stop. Take tram no. 1 or 25 and go to "LETENSKE NAMESTI" stop. When you get off the tram, turn right, go along "BILLA" store, when you reach the crossing, turn right into "Ovenecka" street. At the end of the street you can see back wall of the National Technical Museum building. The entrance to museum is from other side. Follow the map in the link above. MPM shops carry kits and magazines from Academy, Tamiya, Hasegawa, Fujimi, CMK, Aires, Squadron Signal. From the top of the Venceslav´s square go down to the middle of the square untill you see tram rails. Turn left and follow the rails. Then there will be T-shaped crossing. Turn left and immediatel right, following rails again. Walk for about 100 metres and the shop is on the corner on your right side. Whole trip from the start is for about 10-15 minutes. NOTE: This is the only shop in Prague as I know who has nearly full range of Eduard PE parts. Also, there is possibility to pay by credit card. Bilek shops carry kits from Italeri, Dragon, Shanghai Dragon, Zvezda, Testors, Model Master, Excel blade. Get on the RED LINE - C subway at the "MUZEUM" stop and take it towards the "HAJE" stop. Get off the subway at the "BUDEJOVICKA" stop, go upstairs with direction to "Bus stop". Follow the main 4-lane street and you can see the shop on the left side. NOTE: Possibility to pay by credit card. Big selection of kits, books and other stuff. The shop is "stone shop" for the biggest Czech mail order company. It has really great selection of kits and aftermarket sets. Get on the RED LINE - C subway at the "MUZEUM" stop and take it towards the "HAJE" stop. Get off the subway at the "BUDEJOVICKA" stop, go upstairs with direction to "Poliklinika" (hospital). You will see the big 9-stories houses, and the shop is inside the one on the left side. WHAT YOU CAN BUY: MGD shop carry unwanted kits from collections, rare kits and other OOP stuff. From the top of the Venceslav´s square go down to the middle of the square untill you see tram rails. Turn left and follow the rails. Then there will be T-shaped crossing. Turn left and immediatel right, following rails again. Walk for about 100 metres and you can see the MPM shop on the corner. Turn right into Kremencova street and on the crossing turn left and go straight. The shop is ahead of you. Follow directions to MGD shop. Continue down the street, past the MGD shop, until you come to the T shaped crossing. Turn left - across the street you will see a small tunnel, which goes under building of New Scene of National Theather. Walk through the tunnel until you reach the street with tram rails. Cross the street, turn right, walk to the next crossing, turn left and walk for about 20 metres, the shop is on the left side. Get on the RED LINE - C subway at the "MUZEUM" stop and take it towards the "LETNANY" stop. Get off on "FLORENC" stop and take direction to McDonald fastfood shop. 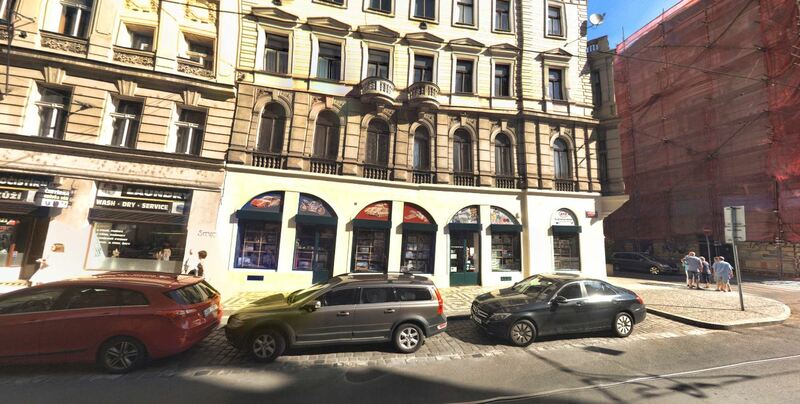 When you will see that shop, take direction to main street with tram rails (towards "Bila labut - White swan" shopping centre), it goes to the centre of Prague. Walk for about 300 metres and then you come to crossing, from left side you will see the tram rails coming. 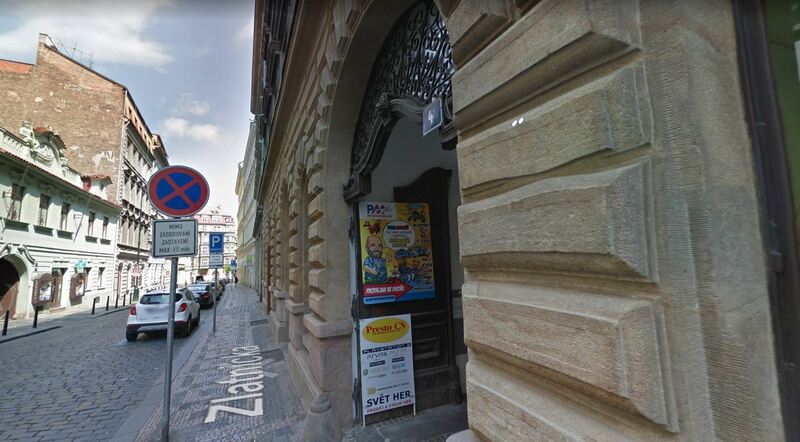 On that crossing, turn right into that small street (Zlatnicka), walk for about 50 metres and you will find entrance to the shop on your right side. The shop is located in the inner part of the house complex, so you have to use small tunnel to get there (about 15 metres). And now the best part: when you visited all museums and shops, you have to be tired and thirsty. Why don´t you write me an email and set up meeting in some good pub ? If I am free, I´ll be glad to meet you and chat about anything.